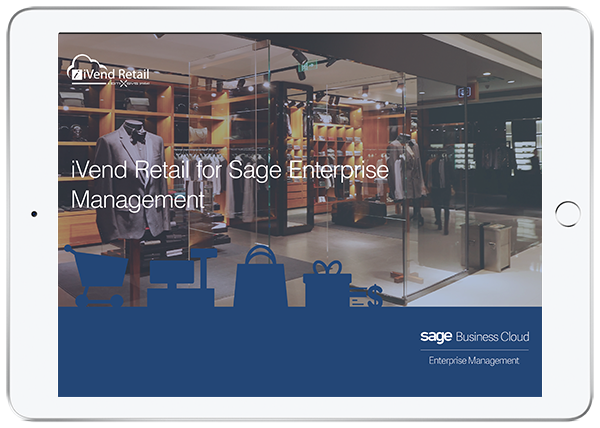 Designed for midsize to enterprise retail businesses, iVend Retail management suite integrated with Sage Enterprise Management helps retailers gain Omnichannel capabilities with ease. The seamless integration between iVend Retail and Sage Enterprise Management provides end-to-end retail management with minimal manual intervention and streamlines retail functionality. Retailers can deliver a great shopping experience with an enterprise ready Omnichannel solution that is mobile, digital and global. iVend Retail integrates with Sage Enterprise Management via Open APIs allowing for centralized accounting while extending top of the line retail functionality to the entire business. 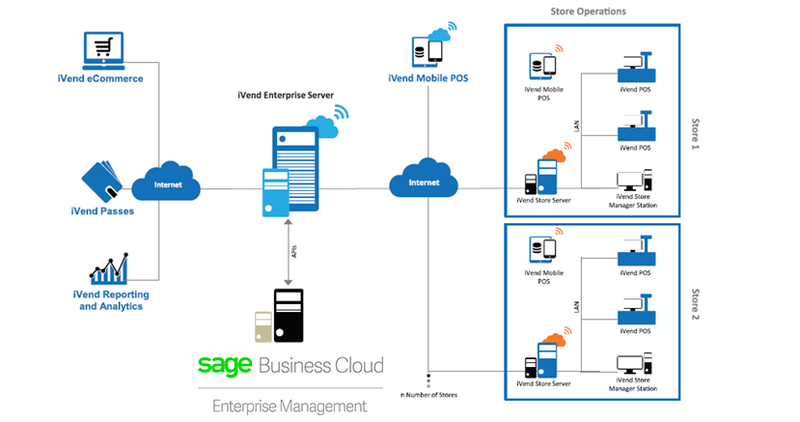 Sage Enterprise Management is installed at the head-office and can be configured to connect to on-premise or on-cloud deployment of iVend Retail. Retail store operations are connected to iVend Enterprise – the central Head Office component of iVend Retail using internet or WAN connections. 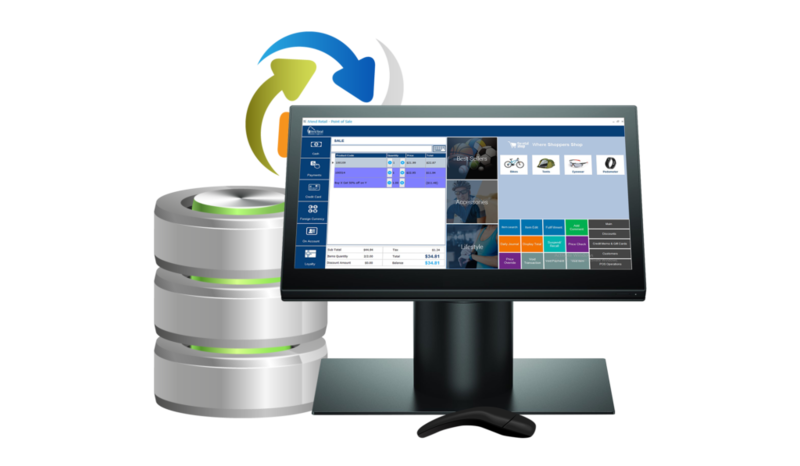 Fail safe replication allows store to continue trading even when the connection to the head-office is unavailable. Learn how iVend Retail integrates with Sage Enterprise Management so retailers can deliver a great shopping experience with an enterprise ready Omnichannel solution that is mobile, digital and global. Want to see if iVend Retail integrated with Sage Enterprise Management is right for you?